COLD SPRING, MN – Cold Spring Brewing Co. (CSBC) and Third Street Brewhouse are kicking off the warmer weather season with the release of a new beer: Sun Seeker Shandy. This refreshing shandy is brewed with U.S. Hallertau hops and finishes with a subtly sweet taste of lemonade. 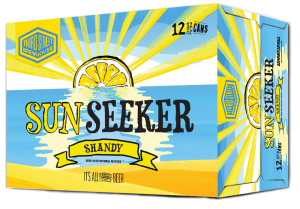 Sun Seeker Shandy is now available on shelves and taps near you. 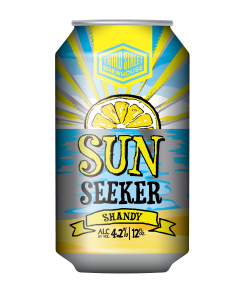 If you’re looking for an excellent new beer to enjoy this summer, the hazy, golden Sun Seeker Shandy is just the thing. With an alcohol by volume (ABV) of 4.2% and a low International Bitterness Unit (IBU) of 9, Sun Seeker Shandy is light, slightly sweet and easy to drink. The hint of lemonade will transport your taste buds to a warm, summer day no matter where you are. The Third Street Brewhouse team recommends pairing Sun Seeker Shandy with great times with your family and friends. Try it with your favorite summer activities: enjoying a sunset on the dock, fishing, a round of golf or after a long day in the sun. Please enjoy responsibly. By mid-May, Sun Seeker Shandy will be available on tap at many locations in Minnesota. 12-pack cases of 12oz cans will also be available at liquor stores. For more information about Third Street Brewhouse, Sun Seeker Shandy and the rest of Third Street Brewhouse’s craft beer lineup, please visit www.thirdstreetbrewhouse.com/the-beers/year-round-beers/. Third Street Brewhouse is the craft beer division of Cold Spring Brewing Company. With an outstanding craft beer lineup, unique seasonal brews and innovative spiked seltzers, Third Street Brewhouse is taking Minnesota craft beer to another level. In 2016, their first Oktoberfest was ranked #2 in Paste Magazine’s top 55 Oktoberfest/Märzen style beers. Third Street Brewhouse brews are available in liquor stores and bars, as well as at the Third Street Brewhouse Taproom in Cold Spring, MN.